My study has given me a better understanding of what businesses and workplaces will look like in the future. Complete your Bachelor of Business in just two years. Accelerated study mode now available in Launceston. Find out more. Get a real-world advantage with our Bachelor of Business. As the only university in the state, we’ve formed close connections with local industry. In our Bachelor of Business you can follow your passion, with the opportunity to build a degree from your choice of seven majors. You’ll also be able to cross-skill by earning a minor from the Tasmanian School of Business and Economics or another area of the University. 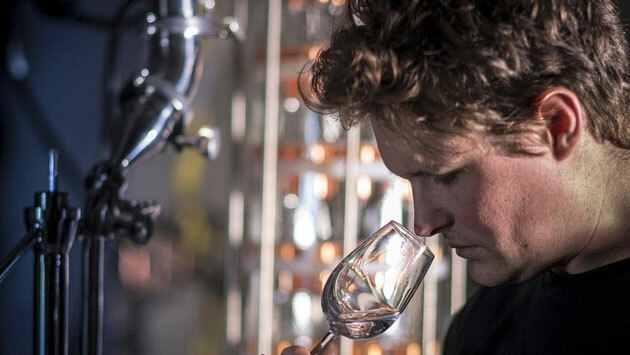 After completing a Bachelor of Business, Ryan used his business degree to create Hartshorn Distillery, the world’s first distillery to produce spirits from sheep’s whey. Our graduates have exceptional career outcomes. Over 75% of our undergraduate business and management students find full-time employment within 4 months of graduating, which is above the national average (Source: 2017 Graduate Outcomes Survey). Our Bachelor of Business gives you both job specific and transferrable skills. You’ll gain job specific skills in your major area of studying so you’re ready to enter the workforce in accounting, banking and finance, human resource management, marketing, management, or tourism. Transferrable skills set you up for long-term success. We embed the principals of entrepreneurship and innovation and teach you critical thinking, strategic analysis, and evidence-based decision making, so you can adapt as the job market evolves. To be eligible for membership of a professional body you will need to select units endorsed by that body. Membership details may be obtained from the appropriate professional body. You’ll complete eight units of core knowledge to learn the underpinning principals of business and develop general workplace skills. You’ll choose a major area of study made up of eight units. This will develop your specialised knowledge in a particular business discipline. These units will broaden your learning experience and complement your major area of study with other discipline-specific study. You could select units from the Tasmanian School of Business and Economics or units from other areas of the University that interest you. Experience and engagement units are student electives of your choice from either within or outside of the Tasmanian School of Business and Economics. You can select your units using the Handbook unit search function. You may choose a minor in a second discipline area and must choose two breadth units as part of your experience and engagement units in the Bachelor of Business. International students must meet the Admission Requirements for International Students. While no subject prerequisites apply for the degree, if you have not successfully completed General Mathematics TQA 3 (MTG315115), Mathematics Methods – Foundation TQA 3 (MTM315117) Mathematics Applied TQA 3 (MTA315109) or an equivalent pre-tertiary or higher level mathematics subject, you are required to complete either UPP075 Bridging Maths, BEA109 Introduction to Quantitative Methods, XAB090 Transition Maths or KMA003 Mathematics Foundation Unit before enrolling in BEA140 Quantitative Methods, one of the degree core knowledge units in the Bachelor of Business. International students who have not completed General Mathematics TQA 3 (MTG315115) or an equivalent pre-tertiary or higher level mathematics subject are required to undertake the unit BEA109 Introduction to Quantitative Methods. Depending on the course of study and the major chosen, you may not be able to use all of the advanced standing for which you are eligible, for example, if advanced standing has been given for unspecified electives but you intend to complete a minor in a second discipline. Further information on the credit policy in the Tasmanian School of Business and Economics is available at www.utas.edu.au/business-and-economics/student-resources/credit-for-prior-study. Graduates from the Bachelor of Business at the University of Tasmania (or equivalent) are eligible to continue their studies in the Bachelor of Business with Honours course and will receive 300 credit points of advanced standing for their previous studies. Students currently studying for a degree in another Faculty or College are able to apply to transfer to the Bachelor of Business with Honours and will be assessed for advanced standing for their previous study. If you don't have the prerequisites for direct entry into a Business degree, an alternative entry pathway helps you get the qualifications you need to enter the course you want. One option is to complete an Associate Degree in Applied Business through the University College, which allows students to articulate into business courses with TSBE. An AQF-recognised Diploma, or an Advanced Diploma in a Business related discipline from an Australian TAFE or other Registered Training Organisation, is another option. 2019 Total Course Fee (international students): $89,925 AUD*. The Tasmanian School of Business and Economics offers a range of scholarships for students from different backgrounds. 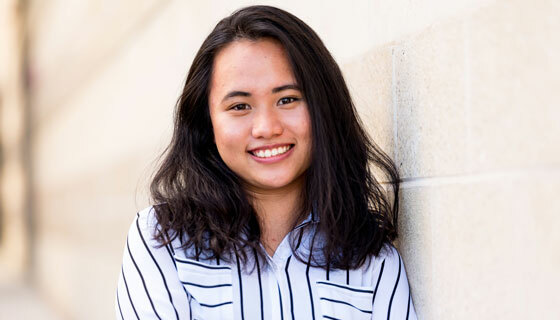 In addition to these scholarships there are a range of subject-specific scholarships offered to students of the Tasmanian School of Business and Economics. Business scholarship: covers 100% of tuition fees for a single degree or 50% of combined degrees for students from Indonesia, Latin America, Nigeria or Vietnam. Four scholarships in total available.